Combining biometrics and web services to enable multimodal biometric interoperability and enhance mobile identification and remote authentication. A WS-Biometric Devices Walkthrough is now available. This document provides step by step instructions to develop a WS-BD web camera service. NBIS.Net 5.0.0 is available. This release provides access to NBIS 5.0.0 functionality from within any .Net language. bws@nist.gov is an email list dedicated to an open and public discussion on biometrics, web services, service oriented architecture, and related technologies. The list has over 350 members from industry, government, and academia. There are no requirements to join and participate in the discussion. The list is also used to announce developments regarding NIST biometric web services projects. To subscribe to the list, send an email to bws-request@nist.gov with "subscribe" as the subject. "Web services" is a general term given to machine-to-machine communication using the same protocols that underlie the web. Our computers, cellular phone, set-top boxes (i.e., digital video recorders, cable boxes)—even our alarm clocks—all natively understand these common protocols. By using Web services as a means for interoperability, the capabilities and reach of biometrics is significantly improved. Wireless communication over commonly available equipment; for example the same sorts of wireless routers commonly found in homes today. Worldwide connectivity. Any device that can visit a Web page can use the same underlying protocols to communicate with a biometric sensor; no platform-specific middleware (software) is necessary. Secure communications biometric capabilities via widely implemented security protocols such as TLS (formerly known as SSL). WS-Biometric Devices, or WS-BD, is a new command & control protocol for biometric devices. It uses the language for the web; proprietary knowledge of sensor interfaces are no longer required. Desktop, laptop, tablet, and smartphone applications can access sensors just as easily as they can navigate to a website. The WS-Biometric Devices specification has been published as NIST Special Publication 500-288. NIST continually welcomes feedback, comments, and questions on the specification for consideration during updates. Send your comments directly to the WS-Biometric Devices team by emailing 500-288comments@nist.gov. 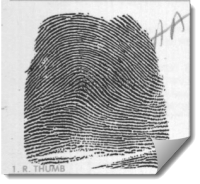 NIST has written two reference implementations against the WS-Biometric Devices specification. To help ensure the quality of the specification, they were developed independently on two different platforms. See the included README files for more information. The .NET reference implementation has been written in Visual Basic .NET, but is accessible from any .NET programming language. Both implementations include comprehensive integration tests that demonstrate how to use the specification and the implementation. The following document was developed as a tool developers can use to facilitate their understanding and development of a WS-BD service. This result of document is a WS-BD service with live preview/streaming. The libraries used in this walkthrough are compatible with most commercial-off-the-shelf web cameras (via DirectShow interface). NIST has authored a reference application that showcases the WS-Biometric Devices (WS-BD) specification. The wsabi application (web services for acquiring biometric information) is a touchscreen-based app for collecting biometric data from WS-Biometric Device -capable sensors. The user interface for wsabi was generated through a series of formal usability tests. NIST IR 8003, Design and Testing of a Mobile Touchscreen Interface for Multi-Modal Biometric Capture documents the user testing resulting recommendations for general purpose biometric capture with touch & gesture. BIAS defines a framework to deploy and invoke biometric operations, such as enrolling, identifying (comparing one to many), and verifying (comparing one to one) biometric information over a service-oriented architecture. It is a high-level abstraction that supports any biometric modality or data format. The OASIS BIAS TC has developed a Simple Object Access Protocol (SOAP) Profile aligning to INCITS 442:2010 – Biometric Identity Assurance Services (BIAS). The OASIS BIAS SOAP Profile became an official OASIS standard on 24 May 2012. The OASIS Biometrics TC continues to maintain the BIAS standard. NIST developed a reference implementation to complement the 24 May 2012 standard. There are two components: a service and a client. The service is written in Visual Basic.Net and the client in Adobe Flex. It is a functional service which matches fingerprints using the Bozorth3 algorithm from NBIS.Net. The NIST Biometric Image Software (NBIS) distribution contains C source code for use in biometrics processing and analysis. NBIS.Net is an interoperability layer that provides a direct in-process interface to the native NBIS libraries directly from .Net. The 11 March 2015 version has been updated to support NBIS 5.0.0. NBIS.Net only supports 32-bit (Intel x86) architectures. Please contact us if you are interested in collaborating on (Intel/AMD) 64-bit support.